Gloss Polyurethane Varnish - Water Base - 250ml . Protect your finished piece with two coats of this beautiful varnish that actually cleans up in water! The second coat even takes care of accidental streaking. Clear and non-yellowing. For serving trays, etc. 4 coats of varnish are needed. A..
All Purpose Sealer - seals porous surfaces - 250ml . For pre-sealing and priming almost any porous surface including wood, canvas, unglazed stoneware, bisque, card, paper and treated metal. Use to prevent moisture loss from absorption into the surface. 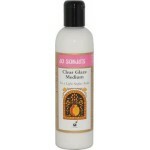 Use also to promote good adhesion of the pai..
Clear Glazing Medium - 250ml . An acrylic medium to mix with Jo Sonja's Artists' Colours to create transparent colour for glaze techniques, wood staining, pickling, colour floating and blending. . Jo Sonja's Clear Glaze Medium may be mixed with any Jo Sonja colour to create clear glazes or woo..
Crackle Medium - 250ml . Create 'porcelain' crazed effects over completed paintings. When dry, emphasise cracks by rubbing over with a darker colour. Apply reasonably thickly with a spreading action rather than brushing. Do not overwork. May be sanded smooth when dry. . Jo Sonja's Crackle Medi.. 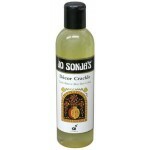 Decor Crackle Medium - 250ml . Use this medium in conjunction with Jo Sonja's Artists' Colours to create bold, graphic, crackled effects between layers of paint. Patterns can be varied depending on the thickness and brushing direction of the top coat colour. . Jo Sonja's Décor Crackle is a tra..
Decoupage Varnish - 250ml . 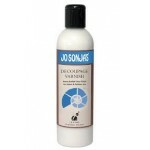 Jo Sonja 250ml Decoupage Varnish . 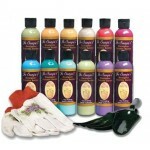 A heavy bodied formula for a thick lacquer-like coating especially formulated for decoupage artists to hide cut edges. 8 -10 coats is equivalent to 35-40 coats of thinner varnishes. ..
Flow Medium - 250ml . Reduces Jo Sonja's Artists' Colours to produce paint with excellent flow control capabilities. Suitable for long strokes, liner work, calligraphy, fine detail and air brushing. Add where thinner paint consistency is required. (Water has a dilutive effect on the pigment and t..
Gel Retarder - Slows Drying Time - 250ml . Delays the drying time of paint without thinning it, allowing for the blendability of oils with the ease of acrylics. . Gel Retarder extends the drying time of the Jo Sonja’s Artists’ Colours. It allows an extended working or “open” time for blending ..
Black - Jo Sonja - 250ml ..
white - Jo Sonja - 250ml ..
Glass & Tile Medium Part B - 250ml . 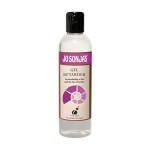 Jo Sonja 250ml Glass & Tile Medium. Part B of a two-part system.A decorative glass and ceramic painting system to use in conjunction with Jo Sonja's Artists Colours.Part A prepares surface for increased adhesion of paint. 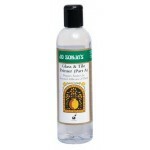 The addition of Jo S..
Glass & Tile Primer Part A - 250ml . 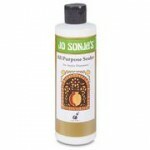 Jo Sonja 250ml Glass & Tile MediumA decorative glass and ceramic painting system to use in conjunction with Jo Sonja's Artists Colours.Prepares surface for increased adhesion of paint.Glass & Tile Primer (Part A) provides a thin, transparent bondin..
Jo Sonja Gouache 75ml. Series 1. The Decorative Painting System. See the Colour Chart here. Please select the colours you require from the Available Options. The range of Jo Sonja's Mediums allow almost limitless technique applications with the one set of artists' quality paint col..
Jo Sonja Gouache 75ml. Series 2. The Decorative Painting System. See the Colour Chart here. Please select the colours you require from the Available Options. 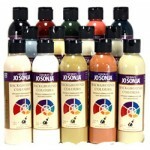 The range of Jo Sonja's Mediums allow almost limitless technique applications with the one set of artists' quality paint col..
Jo Sonja Gouache 75ml. Series 3. The Decorative Painting System. See the Colour Chart here. Please select the colours you require from the Available Options. The range of Jo Sonja's Mediums allow almost limitless technique applications with the one set of artists' quality paint col..
Jo Sonja Gouache 250ml. Backgrounds Classic. See the Colour Chart here. Please select the colours you require from the Available Options. While other paint ranges target the crafting audience, Jo Sonja's colours offer all of the characteristics of a professional paint range for artis..
Jo Sonja Gouache 250ml. Backgrounds Clear. See the Colour Chart here. Please select the colours you require from the Available Options. While other paint ranges target the crafting audience, Jo Sonja's colours offer all of the characteristics of a professional paint range for artists..
Jo Sonja Gouache 250ml. Potting Shed. See the Colour Chart here. Please select the colours you require from the Available Options. While other paint ranges target the crafting audience, Jo Sonja's colours offer all of the characteristics of a professional paint range for artists seri..
Jo Sonja Gouache 250ml. Series 1. The Decorative Painting System. See the Colour Chart here. Please select the colours you require from the Available Options. The range of Jo Sonja's Mediums allow almost limitless technique applications with the one set of artists' quality paint co..
Jo Sonja Gouache 250ml. Series 2. The Decorative Painting System. See the Colour Chart here. Please select the colours you require from the Available Options. The range of Jo Sonja's Mediums allow almost limitless technique applications with the one set of artists' quality paint co..